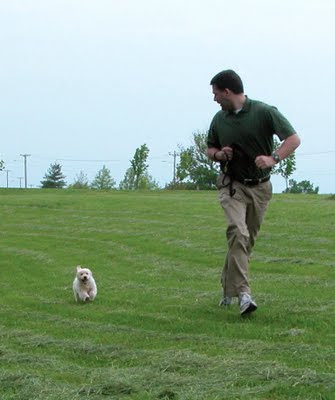 Congratulations to Dawn Sees and young "Dinah" for submitting the winning pic in our Action Dog Photo Contest! We received lots of amazing and adorable shots, but this one really made us chuckle. 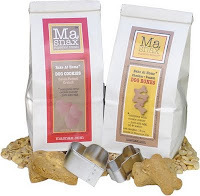 All of our contestants received discounts/freebies on Ma Snax merchandise and Dinah is the lucky pup who will be getting an automatic treat sent to her door for the next 4 months in a row. We simply must give thanks to Pet Age, Pet Product News and Pet Business magazines for publishing our product submissions. We are sincerely grateful. 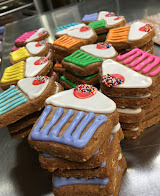 Our bake-at-home biscuit kits are really popular and make super gift items. The holidays are approaching fast and our seasonal biscuit 'Double Carob Chip & Wintermint' flavor is a must-have item for any store or pantry shelf. Once again, thanks to these excellent trade mags for including the small but feisty Ma Snax!